Long running brand, Simply be have been dressing plus size ladies since day one, and believe that “Curve is not an add-on or an afterthought” and demand style and fit for curvy ladies. Catering from sizes 12-32, the brand have been leading the way for curve fashion, winning multiple awards for their clothing and have years worth of experience in creating the perfect fit for plus girls of all shapes and sizes. Simply be also work with a range of top brands including Coast, Levi’s and Oasis so you can shop the brands you love most. The retailer has a huge range of products from swimwear and lingerie to fashion and footwear so whatever your needs, Simply be have got you well and truly covered! If you’re looking for more premium fashion which fits you like a glove, look no further than Elvi. A brand created for super stylish plus ladies, Elvi create beautiful clothing inspired by classic style and the latest catwalk trends, ensuring that your wardrobe is ultra- stylish and contemporary. Catering for sizes 14-26, Elvi focuses on creating fashion with exceptional quality which flatters your figure and makes you feel incredible! Hot off the catwalk brand, Missguided have given curvy girls the ability to wear fashion-forward clothing without limits. They believe that “looking hot and being able to express yourself is totally a right, not a luxury.” Made exclusively for women size 14-24, the brand provide trend-led fashion in styles that push the usual boundaries of plus size with short skirts, cut-out detail and youthful looks. Similarly to Missguided, boohoo do not do drab. Providing you with wardrobe staples such as denim, knitwear and pyjamas to sultry looks for big nights out, boohoo’s clothes are sure to make you feel gorgeous! They want to provide curvy girls with the hottest trends of the season and dare you to be different and stand out for the crowd. This brand encourages you to ooze confidence in your killer curves. Fashion World is the online catalogue for plus size clothing and caters to all of your plus size needs including accessories, footwear and clothing. They have a wide range of products and brands, so whatever your style, you can get it easily with fashion world. With very reasonable prices, you won’t have to break the bank when you shop with them either. Perfect for casual, day-to-day and workwear, George at Asda is a great place to shop your essentials such as t-shirts, pyjamas and knitwear. With their fantastically low prices its one of the top supermarkets for affordable clothing. Marisota by JD Williams covers all kinds of fashion from casual wear to formal wear to wow in. 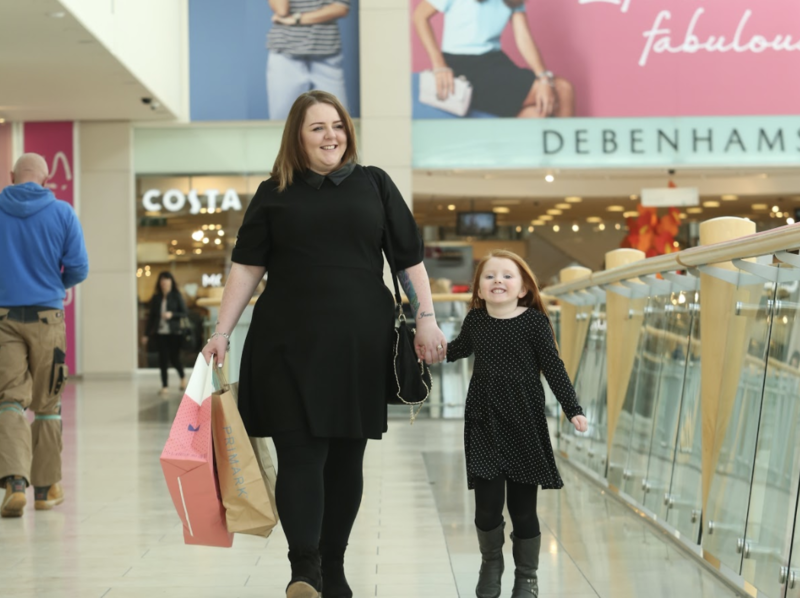 Featuring a range of brands such as Joe Browns, and with celebrity lines from personalities such as Lorraine Kelly, there’s stand-out style you’re sure to love in sizes 14-32. Curvissa, the brand that is most concerned with choice, make it their mission to give women a wide selection of styles and fits so you don’t have to compromise. They have a huge selection of over 3,000 items in sizes 14-32 so you can rock your curves and not have to struggle finding something your style. Are you a bit of a retro gal at heart? Then Curvy Belle is the brand for you! This brand doesn’t want its customers to shy away from fun fashion and provide them with stand-out, vintage inspired looks so they can look and feel gorgeous with silhouettes that suit their curves perfectly. Pretty Little Thing, known for their celebrity, trend led fashion has created a shape range which helps you to flaunt those stunning curves with their figure hugging styles. This brand encourages you to push the boundaries and flaunt your figure with their sultry styles and head turning partywear. Pink Boutique have entered the plus size market with a bang bringing curvy girls ultra-glamorous styling. Their clothing is sure to turn heads with their figure flattering party dresses, slimline midis and waist cinching skaters. This brand is sure to make your curves look killer! One of THE places to go on the highstreet for on-trend, fast fashion. Primark is known for their mock designer styles, catwalk-led and trend based style. This is a great place to go if you regularly like to change your style and feel current. The store has a huge range of sizes and it’s a great way to follow the latest trends on a budget. Another Supermarket known for their affordable fashion is F&F at Tesco. Known for their wardrobe staples such as standout coats, flattering fashion and fantastic prices, this is one supermarket brand you’ll want to visit! What is considered plus size fashion?